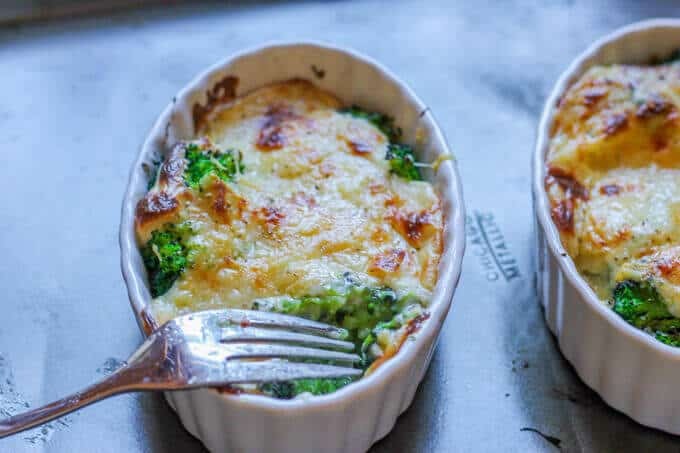 Cheesy Broccoli Au Gratin is a delicious dish that features America’s favorite vegetable, topped with an amazing cheesy sauce that is baked to perfection. 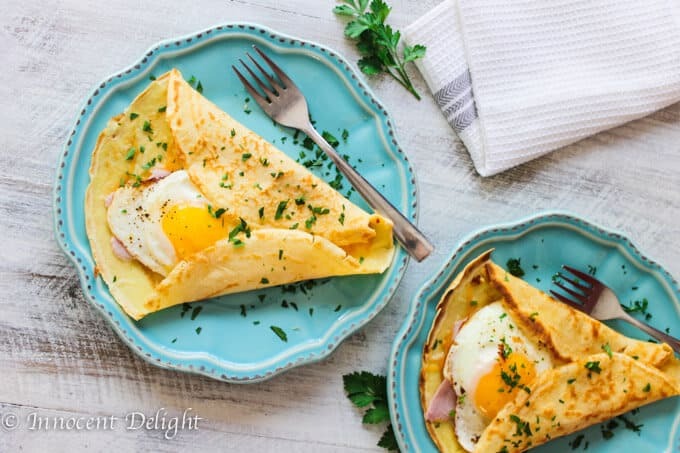 Just a few simple ingredients, mixed with the sophistication of a Gruyere cheese, marry together to make this dish both rustic and elegant. Even broccoli critics can become converts. 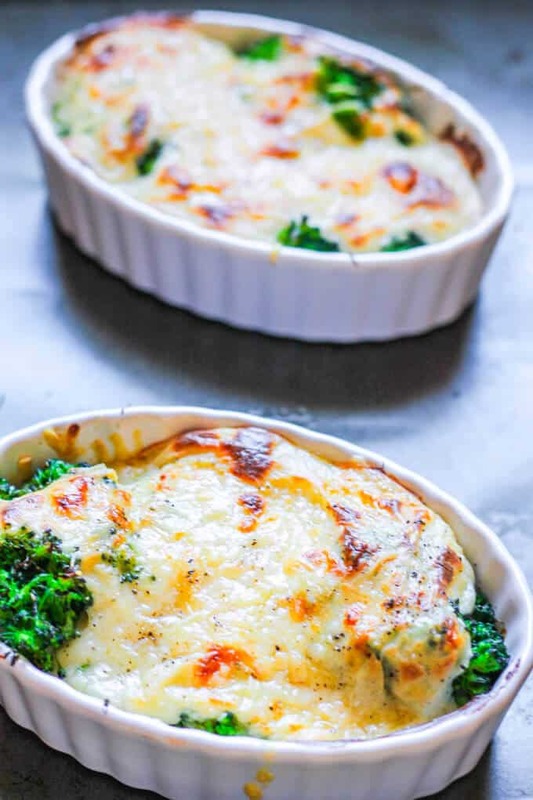 Broccoli Au Gratin, smothered in the cheesy, delicious sauce….mmmm…I can say without hesitation that it is, in my opinion, absolutely the best way to eat broccoli. 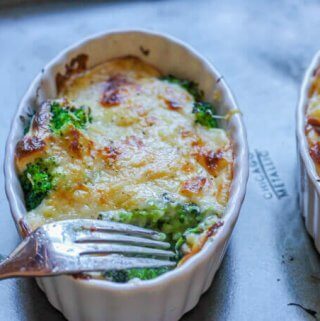 I’ve had a love affair with this Broccoli Au Gratin dish since my early twenties. There had been an Italian restaurant in my hometown of Wroclaw, Poland, called “La Scala,” which 1st introduced the dish to me. While I recollect this as the restaurant’s signature dish, perhaps that’s just because it was my personal obsession. I had been trying to recreate their version for a long time, but I just wasn’t achieving it. That was until I finally discovered that was the cheese which made all the difference. I was watching some mindless cooking show and they were making a similar dish (but with leeks) and they had been using Gruyere. And so it was that the light ignited & I realized the error of my earlier attempts. It had to be Gruyere; and as this post testifies, that was it. It came out so good and reminded me of the taste of this Broccoli Au Gratin from La Scala. Without teasing my obsession prior to, I made this Broccoli Au Gratin for lunch on a lazy Saturday afternoon. My husband had been out running errands and came home hungry and tired – a mood which I find most receptive to new dishes. I served him a ramekin of this dish and then casually retreated outside to play with our son. 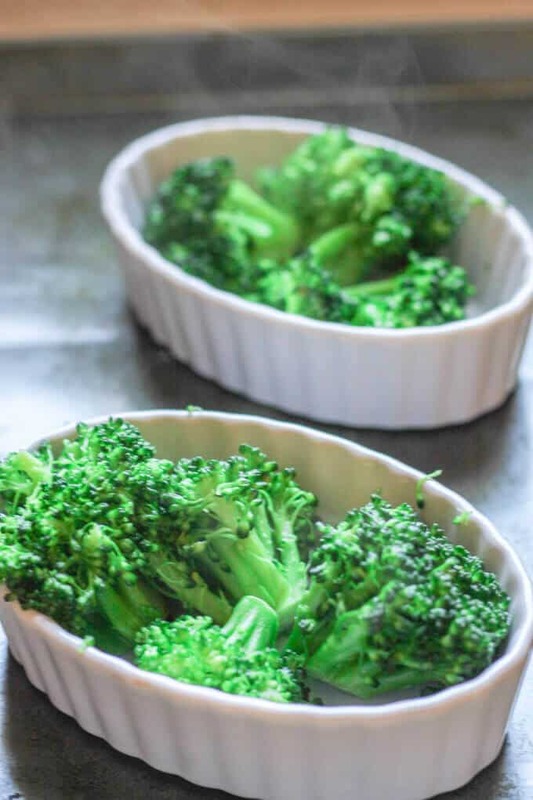 After he finished his broccoli au gratin, he came out to the backyard and said, “That was some serious broccoli!” Coming from him…that meant that this dish was really outstanding. If you’re a first-timer to my blog you may not realize it but he has a guarded skepticism when it comes to veggies. However, on the basis of this reaction, he seemed receptive to putting this one into heavy rotation. I am confident that even the biggest broccoli critic could be converted with this one. So, if you have a kid or a significant other who refuses broccoli, I recommend you testing their reluctance with this dish. You may be surprised to see empty ramekins (affiliate link) and hungry eyes clamoring for more. Once completed, I suggest that you break off a piece of baguette or crusty bread (like this Homemade Dutch Oven Crusty Bread) and dip it into this cheesy goodness. I also recommend using some garlic compound butter for your bread. You can check this guide on how to Make Simple Garlic Butter. The best thing is that while you’re sating your need for cheese, you’re also simultaneously getting your greens in with this Broccoli Au Gratin. 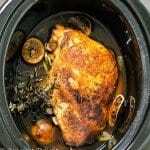 You can pair it with this amazing Brown Sugar Pork Chops with Garlic and Herbs or this Slow Cooker Whole Roasted Chicken. 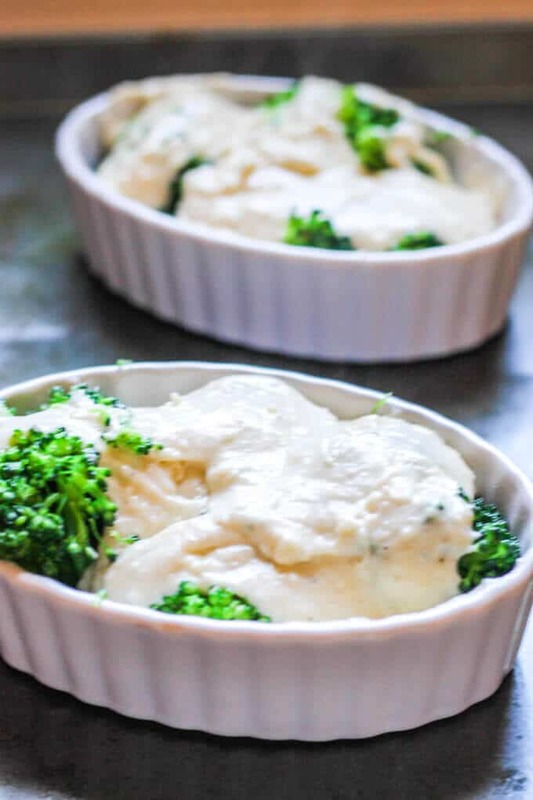 Broccoli Au Gratin is a delicious dish of American favorite vegetable topped with an amazing cheesy sauce that is baked to perfection. 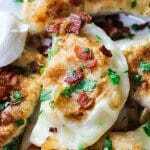 Few simple ingredients mixed with sophisticated Gruyere cheese makes this dish both rustic and elegant. Even broccoli skeptics can become fans. 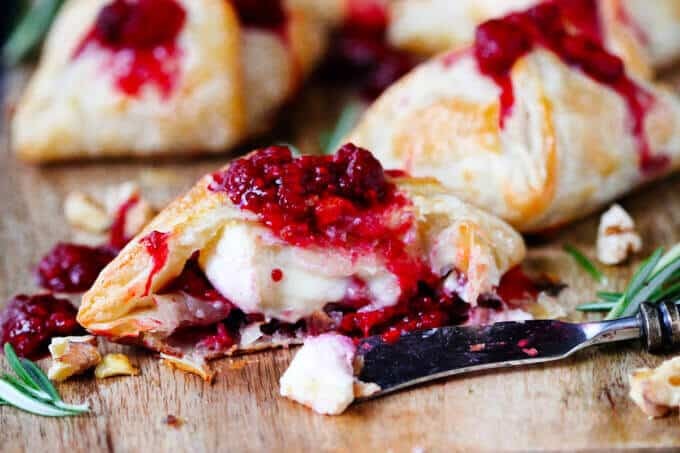 Bake for 15 minutes or until the cheese is golden brown and bubbly. The portion size of this recipe is for 4 people if it is a side dish. 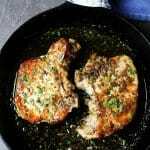 If you want to make it a main dish, this recipe would be for 2 portions. You may adjust accordingly depending on your dish and the number of people served. I used 1% milk in this recipe as it already has enough fat from butter and cheese, but any milk will do fine. This post was originally published on April 14, 2015, and was since updated to provide additional information. 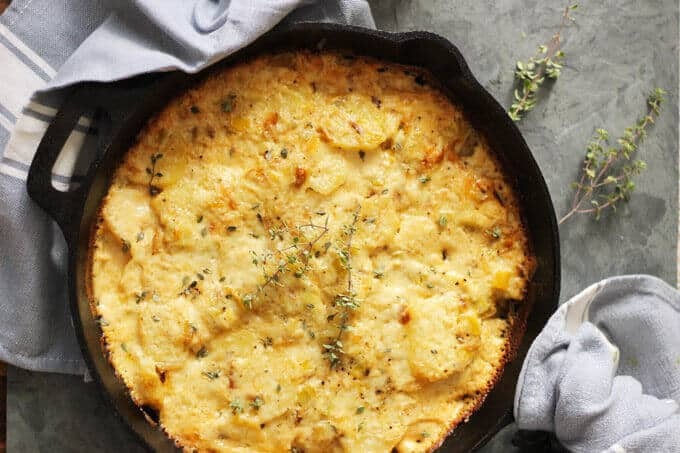 This gratin looks like the epitome of comfort food. 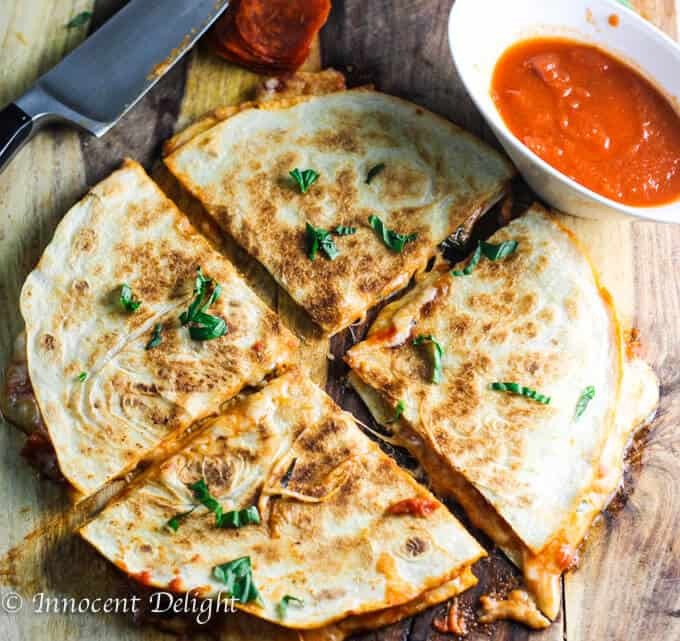 I definitely am craving all of it’s cheesy deliciousness right now. Thanks Thalia! It really is comforting 🙂 We love this dish. The next time my niece comes to visit I have to make this dish. She will only eat veggies if they are covered with cheese. It looks delicious ! I think the Gruyére cheese is a great idea. That looks so scrumptious! I love broccoli, especially au Gratin style! Just looking at your beautiful photos makes me know what it would taste like. Great recipe! This sounds to die for! I love broccoli and the idea of it smothered in cheese is making my mouth water! Au Gratin is one of the dish I am yet to make ever since I left college. 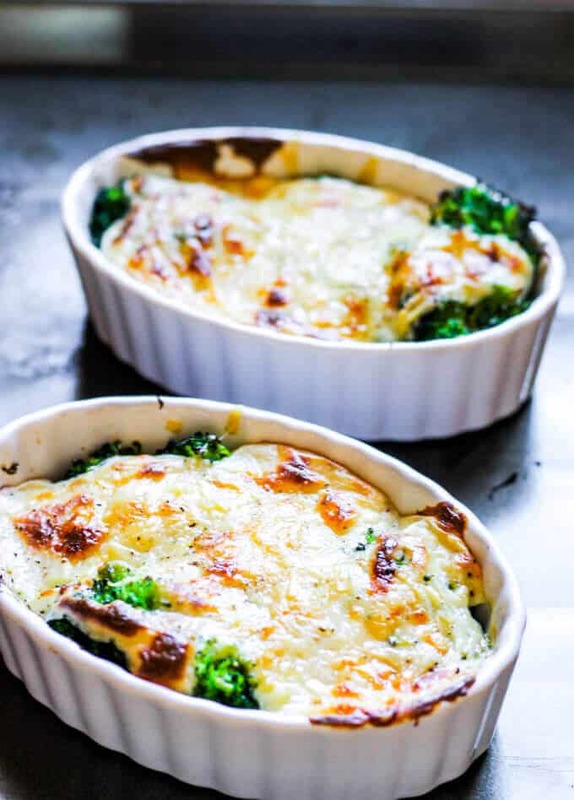 Somehow the time has never come for it but your recipe has tempted me enough to buy some broccoli and start making this Au Gratin! Thanks.